Ukrainian State Aviation Service has removed all restrictions on route network expansion for foreign-owned airlines registered in Ukraine, according to a decree published recently by the Ukrainian Official Herald. The new document provides amendments to the original regulation, which sets rules for allocating traffic rights for the operation of airlines inside and out of the country. In particular, the amendments cancel two regulations that earlier triggered protests. One of these rules states that new allocations for regular and charter international lines may be assigned only to airlines that are at least 50% owned by Ukrainian citizens. The second one implies that only those carriers may be approved for operating international routes that have been operating on Ukraine’s domestic market for no less than a year. In January, the amendments were submitted for review, and the State Aviation Service commented that they aim to remove “constraints on free competition” and “artificial barriers” on the market. Expert community links the creation of the old rules and their recent cancellation with the change of the head of the regulative body. Introduction of the old rules coincided with appointment of Denis Antonyuk, who previously worked for Ukraine International Airlines. The amendments appeared at the same time Antonyuk was dismissed. Tightening of regulations for foreign carriers with Ukrainian registration, and the legislative vacuum that followed, forced the Hungarian-owned Wizz Air Ukraine to cease operations in 2015. 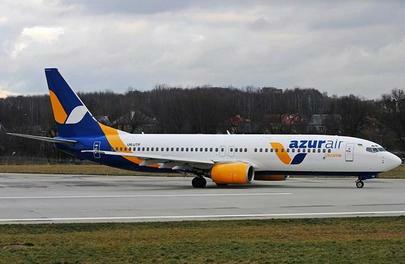 Atlasjet Ukraine, owned by Turkish AtlasGlobal, also complained about the unfair conditions, as well as Azur Air Ukraine (formerly UTair Ukraine), which is now owned by international travel company Anex Tour.